Interestingly, though, licorice can cause a TSW “flare” if too much is taken. Dr. Rapaport actually had a patient self-induce a TSW flare, after being recovered from TSW for several years. 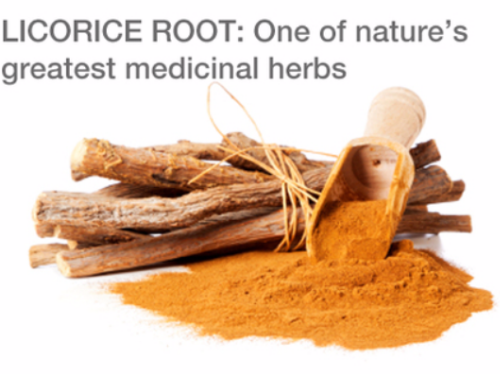 The patient had consumed a super high dose of licorice root. So it must be dosed by a professional. In Auyervadic or Naturopathic medicine, I can’t remember which, anabolic steroid addicted patients are put on a combo of adrenal glandular & licorice root (because they are natural cortisol) to ween people off the prescription form of cortisol (corticosteroids) so the endocrine doesn’t crash while withdrawing from the pharmaceutical drugs. It seems to work without the danger of the prescription side affects. This weening method should be looked into and researched for TSW.